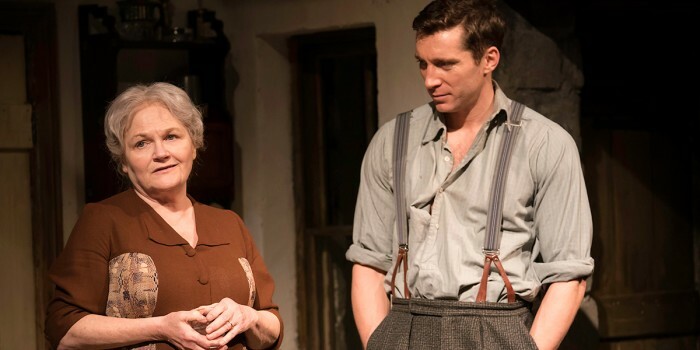 Rob Hastie’s poignant production of The York Realist opened on Tuesday night (13 February) at the Donmar Warehouse, where it’s set to play until transferring to Sheffield Crucible in late March. The rolling hills of Yorkshire are depicted in Peter McKintosh’s beautiful set, but they represent more than just that. You are subtly aware throughout of the remoteness of the cottage, the steepness of the hill it perches on, the very rootedness of family life in the Yorkshire dales. Ok, it’s Valentine’s week and I’m feeling a bit soppy, but if you’ve ever been in love and it’s just not been easy, you’ll relate to this show. The aching divide between George and John is irresistible, with moments of tenderness that take your breath away. Praise here too, for Katie West as Doreen, the sweet childhood friend, full of unrequited love for George but knowing she has no chance. Oh Doreen, we’ve all been there. Who does theatre belong to? Gill’s play wants us to look at the very important question of who art belongs to. George is cast in the play John is directing. 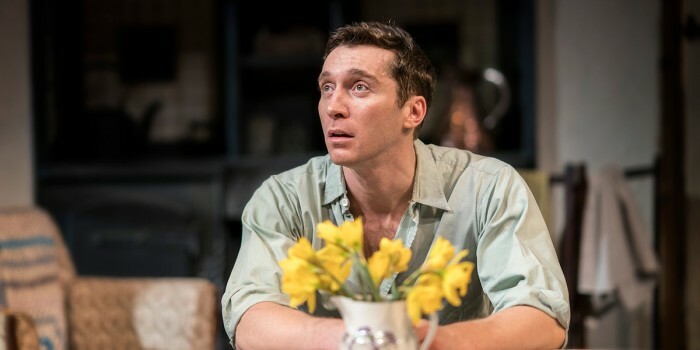 His initial reluctance to participate comes from the fact that ‘the rest of them are doctors and that’ – and he worries that he can’t be a professional actor because they’ll only let him be a Northerner. He thinks the theatre is not where he belongs. John insists that things are changing – they are going to be different. This was the 60s … we can only hope they’ve changed enough. A working sink; a full dinner produced and scoffed; hot tea constantly being poured; and a fire that flickers. The production is full of delightful details that make you feel smack bang in the middle of the cottage – you just want to reach out and grab a biscuit. Put simply, this is a beautiful play, exquisitely performed. Love, passion, family, death and love of home – it’s human emotion at its purest, so sit back and revel in it. 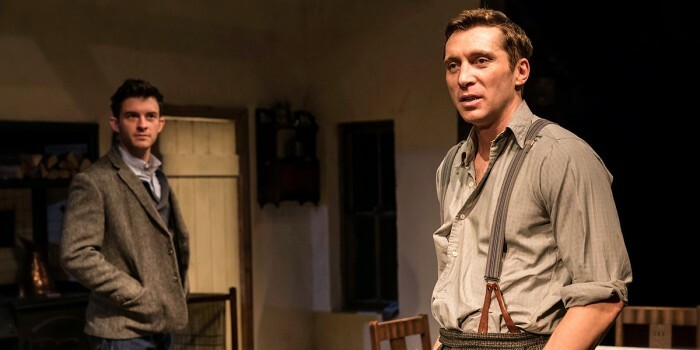 The York Realist plays at the Donmar Warehouse until 24 March. You can book tickets through the Donmar website.